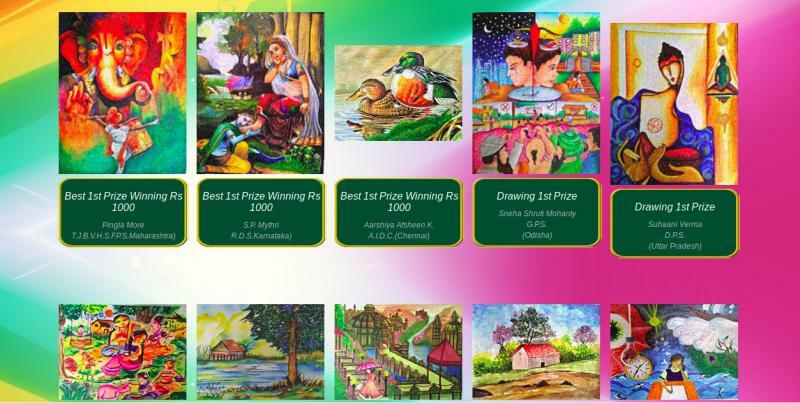 Star Creative Art presents International Child Art Competition 2018. Last Date of Submission is December 15, 2018. Each Institution or a group of students should send minimum of 50 entries however there is no limit to maximum entries. Below 50 entries will be rejected for the Competition. Individual participant, not from any institute or group, have to send a minimum of 5 entries. Entries can be of any subject or theme. DRAWING – Any theme like Scenary, Festivals, Market, Animals, Abstract,Still life, Village Scene, God and Goddess etc. CARTOON – Dragon BallZ, Disney characters, Tom & Jerry etc. GREETING – Festivals, Occasions, Best Wishes, Birthday, New Year etc. Entries are to be sent at the following address by Regd. Post,Speed Post, Courier, or by Hand. Vakola Bridge, Santacruz (E), Mumbai – 400 055. Hello..I would like to get information about your upcoming events or contests.